According to the Twitter feed of Yugobasket, as of 14 hours ago roughly, it was let known that Ioannis Kouzeloglou(2.06-PF) is in advanced talks with Partizan Belgrade. According to his highlights video in Youtube, Kouzeloglou has a massive wingspan (215cm) for a caucasian and is currently playing for the Mantoulides Academy in Thessaloniki Greece. The player has already become 18 years old but as Mantoulides is not a professional basketball team his team is able to retain his rights after his 18th year. That is valid for Greece but the player can sign anywhere he wants in Europe. Novosti.rs says that Olympiakos and Panathinaikos are also interested in the player but also that the player will be travelling to Belgrade in early August to be tried by Partizan. 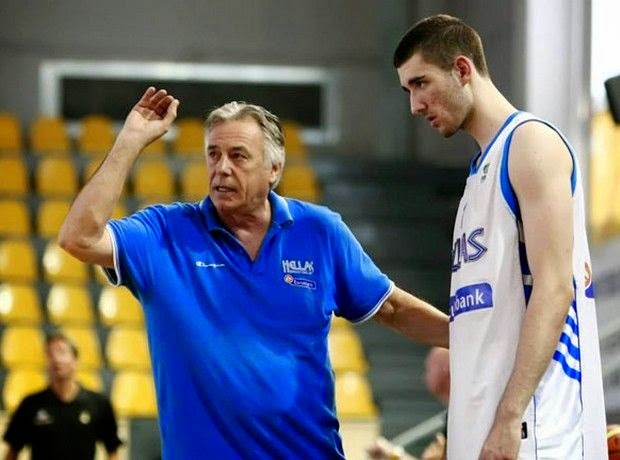 Kouzeloglou has played in the past for the international junior team of MAS Mantoulides in Euroleague before and is also a member of the Greek U20 National Team. There has been some speculation in Greece that Kouzeloglou will be targetted by one of the professional teams but no concrete evidence of that as of yet. Some of his highlights can be seen below.